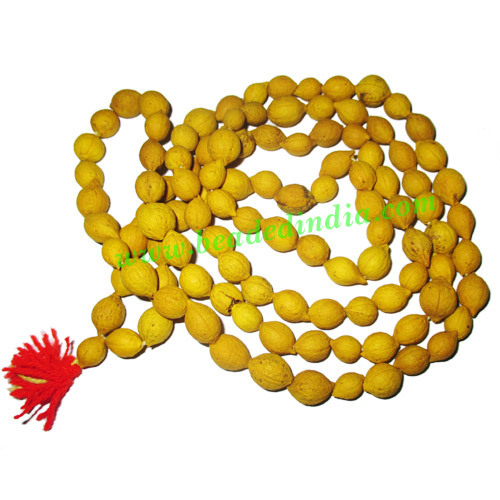 Putra Jeeva (putrajiva) yellow wood beads string (mala), size: 9mm. weight approx 43 grams. One string (mala) has 108+1 beads, used for chanting mantras and meditation by those (preferably females) expecting birth or wellness of baby boy. Leather Cords 3.0mm (three mm) round, regular color - violet. Sterling Silver .925 Brushed Beads, size: 41x27x16mm, weight: 13.87 grams.